Looking for the best toilet? Choosing high-efficiency toilets or urinals for your new project? Replacing plumbing fixtures? Not sure which new toilet to buy? MaP Testing has all of the information you need to make the right decision. 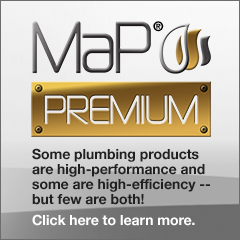 From toilet reviews and flush ratings, to water usage reports and efficiency grades, MaP is an industry-leading provider of the most current plumbing data. Doing your research? Search for the best performing toilet - over 4,000 rated!